Our theme for 2019 is “Knowing is Loving.” In this story, we help Natasha by getting to know her needs – and the laws and agencies that can provide for them. And we insist those agencies get to know us: our love for orphanage graduates, and the good that results when their community acts. January 9th was a very special day for Natasha and her children! She needed a lot of help to reach this day: from Last Bell staff, including our lawyer; from social services; and God’s miraculous provision in the final hours. Natasha is 23 years old. She moved into our Shelter Crisis Housing with a toddler and newborn last June. But she needed permanent housing. 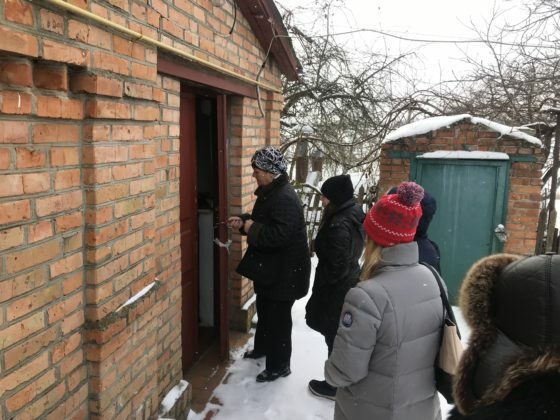 Oksana Pankyeyeva, director of Stop the Cycle, our program for orphan parents, shared, “Natasha faced the reality common to orphanage graduates: ‘housing on paper.’ She inherited a house that looks like a barn and is falling apart…” Her family home was completely unlivable, beyond repair. 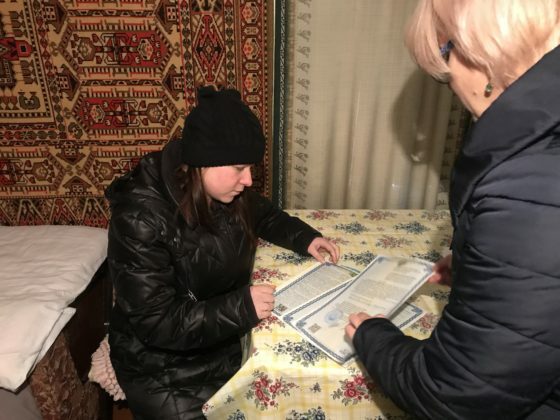 Over the past two years, at regional and city roundtables, we’ve met people from Zhytomyr’s regional social services agency, which oversees orphanages and housing for orphans under 23. 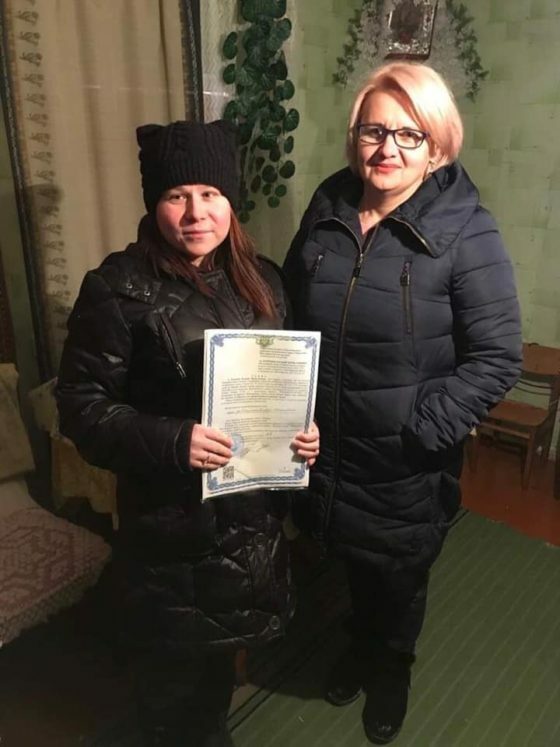 Four months ago, they invited Oksana to serve on a committee in charge of housing grants for orphans. This gave us an inside scoop. 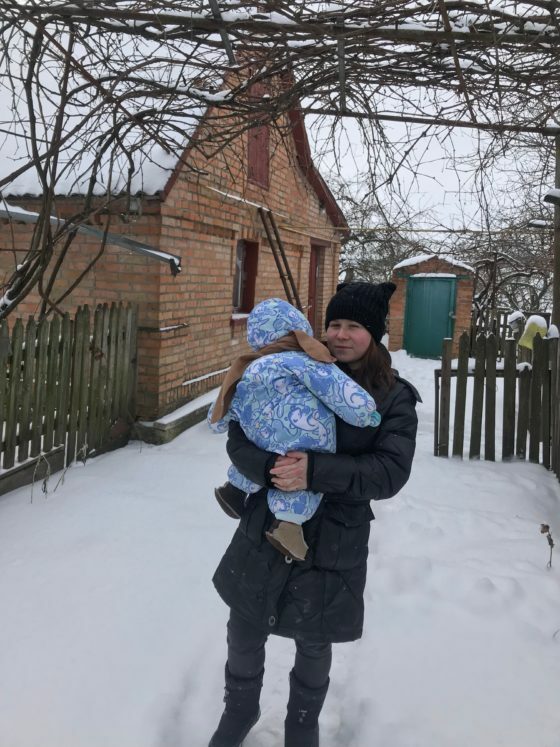 “Real housing for Natasha would only be possible,” explained Oksana, “because of a new law in Ukraine: a housing subvention (grant) for orphans whose parents are deceased and who aren’t yet 23.” We had already begun informing village councils in the region about this new opportunity. Now we advocated for Natasha. 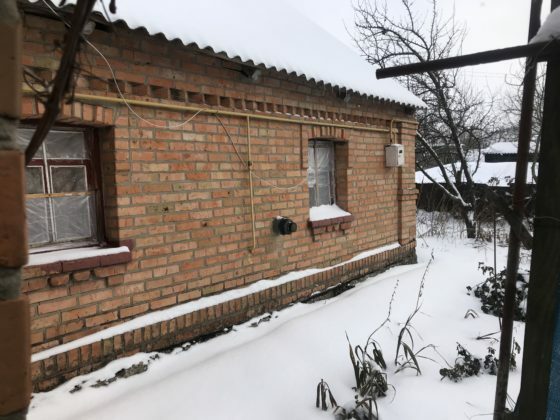 As of January 9th, Natasha owns a real home in the village where she was born!